Web site hosting: getting what you pay for! 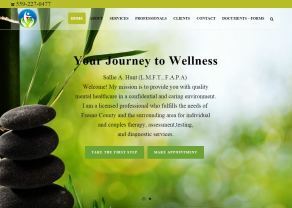 I received a phone call from a distressed healthcare practitioner, her web site had crashed and her web master was AWOL. Her patients could not retrieve the forms they need or other important materials from the web site. Her web master has never passed on the logins to access the site. It was a mess. We worked with her hosting company to regain access to restore the site. BUT the budget $3.95 /pm hosting plan, with the “backup pro add-on” that cost an additional $49 was of no use. The three backups the hosting provider had were all corrupted…useless bits of data! I was able to locate the client’s content and images from an online web archive company, and no the archive content was not free! With the client’s content in my possession, I was able to redesign and launch a new web site on my hosting servers for the client in three days. The upside…the client loves the fresh design and now she has a stable hosting provider and web master. Take a minute and view the web site.